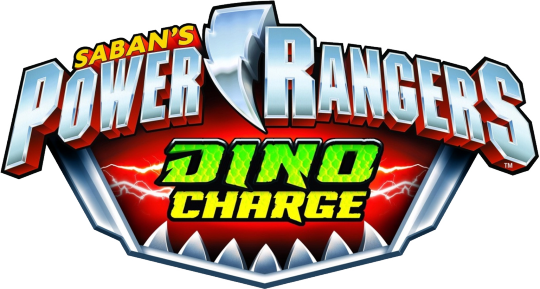 Recap: Power Rangers Dino Charge Halloween Special – "One of you is a fake!" Wrench reanimates Duplicon and Sledge orders the Vivix to throw him back into a cell. Duplicon tries to run away and bumps into Curio who is decorating the cellblocks for Halloween. As Sledge arrives, Memorella reads his mind and we get a flashback to when Fury brought back a bomb. Sledge orders to send both Duplicon and Memorella to the deep freeze, but they all come up with a plan to duplicate a Ranger to get into their command cave and grab the Energems. Over at the command cave, the Rangers are all dressed up for the museum Halloween party. Dressed all the same thanks to Chase making them all the same ghost costume. Kendall, meanwhile, is dressed as Cupid in honor of the new Cupid Charger. The Cupid Charger will make a monster fall in love with the first thing they see. They all head up to the party. Koda is at the piñata while Tyler is dancing. Memorella walks in and straight to the kitchen where she mind controls one of the Rangers she finds about to take a drink of water. Memorella takes the Ranger into the warehouse and ties him or her up. She proceeds to steal the Ranger’s memories before Duplicon turns her into that Ranger, complete with costume. Kendall gets an alert of alien DNA at the party… from 20 minutes ago. She heads downstairs and watches the CCTV footage of Curio and friends taking the Ranger. Kendall calls the Rangers down to the command cave. 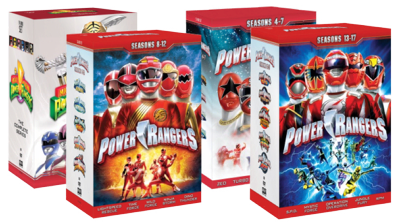 All the Rangers arrive… which means one of them is a fake. Kendall takes the Energems and puts them in a safe case until she can figure out who is a clone. And to do that, she will ask them questions about previous episodes and the lie detector will determine their identities. Riley volunteers to go first and Kendall asks him to recap Episodes 2 and 13. He does and the computer confirms he is real. Kendall gives him his Energem back. Next up is Koda. Kendall asks him to recap Episode 4 and he is confirmed as real. Meanwhile, Curio, left to watch the Ranger, really wants to go Trick-or-Treating. Since the Ranger is sleeping, Curio decides to leave. But the Ranger wakes up and tries to free him/herself. Back at the command cave, Tyler is asked to recap Episode 1 and he is confirmed. Chase recaps Episode 8 and is confirmed. The kidnapped Ranger falls over and escapes the chair. Shelby is anxious as she takes a seat at the lie detector. Kendall asks her why she decided to dress up as the Princess of Zandar. She stutters and says she loves princesses. No she didn’t. She says she liked the dress. No she didn’t. She says she wanted to play the princess just to get the Ptera Charger back. But in her mind, she remembers seeing how hot Tyler was as the prince. The computer declares that Shelby is… LYING! Aha! But no-ha. Kendall believes Shelby. The kidnapped Ranger rolls down the slide and it’s… KODA! Kendall knew Shelby was not the fake because Koda kept calling her “Miss Morgan” instead of “Kendall” like he usually does. The two Kodas fight until Memorella is back in monster form and flies out of the command cave. The Rangers pursue and they morph. Memorella summons some Vivix. Ivan suggests Shelby use the Cupid Charger. She shoots at the Vivix, Ivan takes a mirror to show Memorella’s reflection. That makes the Vivix fall in love with her and they jump on her. Ivan finishes them all off. Sledge embiggens Memorella and Ivan hops in his Megazord. He tells Tyler to summon the… Pachy Zord? They form the Ptera Charge Megazord Pachy Formation and together Ivan and Tyler finish off Memorella for good. Back at the cafe, Shelby is trying to get the Cupid Charger out of her Blaster. Tyler tries to help and the hand contact gets Shelby all kilig. He asks her the real reason she wanted to be the princess to his prince. But suddenly, they shoot the Cupid Charger at Chase. The Rangers all hide behind the counter and Chase falls in love with… himself as he’s seen a reflection of himself in the mirror. It was a fun episode. 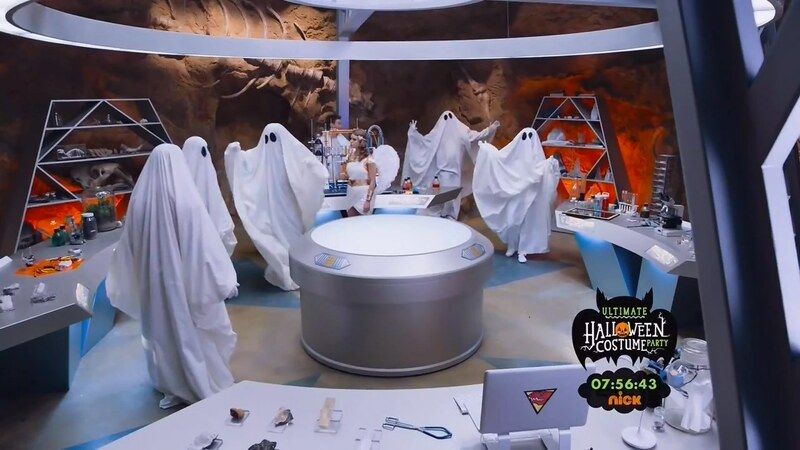 Definitely better than the other Halloween episodes of the Saban Brands Era. This one actually had a story to go along with the recaps. And it was a nice, creative story too. The Tyler-Shelby teasing was nice. I would’ve liked to have seen Yoshi acting like Memorella a little more though. A completely different episode of course. Kyoryuger was the usual spoiled kid episode that seems to be an annual staple for Sentai. Overall, this was a solid, fun holiday episode. Hopefully future Power Ranger holiday episodes as more creative and less recappy like this was. ← Recap: The Amazing Race 27, Episode 4 – "I was so excited I almost peed my pants." For me, this was a strange episode. Not bad at all, but strange. Maybe this was because this was my first introduction to clip shows (from a Power Rangers series, no less), but I will admit, this was entertaining. 1. If Sledge can bring his monsters back to life, what’s to stop him from recreating all his past monsters and sending them to attack the rangers again? Maybe it’s because the rangers will just keep destroying them because they’ve fought them before? Maybe it’s so Sledge can still collect his bounty? I don’t know. 2. I guess I can see what the point of the Cupid charger is, but it can just as easily backfire (remind you of a certain episode from Megaforce?????). And come on, when the Viviks got hit by the Cupid blast and Ivan held up the mirror, that mirror wasn’t big enough. They probably would’ve seen Ivan before they saw Memorella’s reflection in the mirror. Maybe leave the mirror in the open and hide so you don’t run the risk of your plan backfiring? Just a thought. 3. As you mentioned, Pachy Zord being used even though it hasn’t been introduced yet. Uh, Nickelodeon? Couldn’t you have waited until Halloween to show this episode? 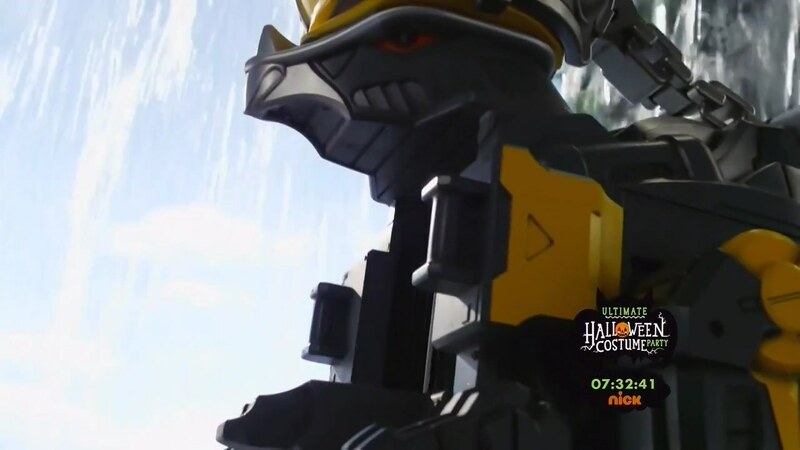 That way the Pachy Zord could have been properly introduced and this episode could have properly aired on Halloween. Would’ve made a little bit more sense, if you ask me. 4. How could Shelby have fumbled so badly on the lie-detector test? Was it because the subject of her and Tyler made her uncomfortable? There’s a monster that’s disguised as one of your friends, Shelby! I think telling the truth so you can narrow down who’s who and make sure the monster does nothing bad (in this case, stealing the Energems) is more important than keeping your feelings for Tyler a secret. And to think, were it not for Memorella’s slip of the tounge, she would have succeeded and Shelby would have been wrongly accused (or possibly worse). Okay, maybe I’m being a bit too harsh on this one, but that’s just what my initial thoughts were. 5. Kendall- uh, I mean, Miss Morgan-should have asked Chase in particular another question since the answer was (accidentally) given to him by the other rangers. You don’t want to give what could be the monster in disguise any hints! So, ask another question with no interference this time. Maybe I’m just nitpicking here, but these were thoughts that came to mind as I watching this episode. On the plus side, Chase being hit with the Cupid blast and falling in love with his reflection was funny and in character. And Claire Blackwelder rocked that Cupid costume! Good stuff. Okay, NEXT week’s episode is one I’m looking forward to. I didn’t know I’d have to wait another week. Curse your bad air-times, Nickelodeon! Curse them! Man, in Dino Charge, a special episode is NOT an excuse to drop in the quality they made so far. And that’s a good thing! Despite being one of the Holiday episodes, it was pretty good. It was nice that something new (zord and charger) were introduced, which had importance. It would have been nice if it had little purple. It was also nice to see rangers with ghost costume; although, it would have been nice if they wore different costumes, similar to “Raising Spirits” of Megaforce. I was bit disappointed that Koda wasn’t Insurance Caveman. I mean seriously, it was such a missed opportunity. Since this was a Halloween episode, it was also a clip show; however, it was utilized very cleverly by going through ranger’s memory of the past, to indicate who’s the fake. It was nice to see clips from the past episodes, where it reminds us how well rangers are written and how likable they are; can’t say the same with Kyoryuger, where they were jerk, despising, and insufferable. As for MOTW (Memorella), I’m so glad they didn’t use the “other” version from Kyoryuger. It was interesting to see a Pachy Zord, even though this “chronologically” took place after Graphite Ranger introduction. 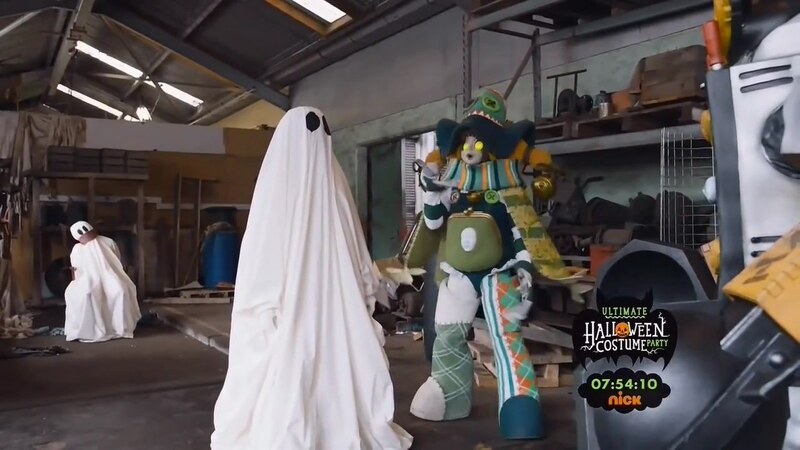 I personally think they should have aired Graphite Ranger debut BEFORE this episode, since it would make lot of sense to air Halloween episode, a week before actual Halloween, but I digress. I really loved the ending! That’s what I call good comedy. …unlike that OTHER show, it worked perfectly. This was one of the better written Holiday Specials and Clip Show in general. 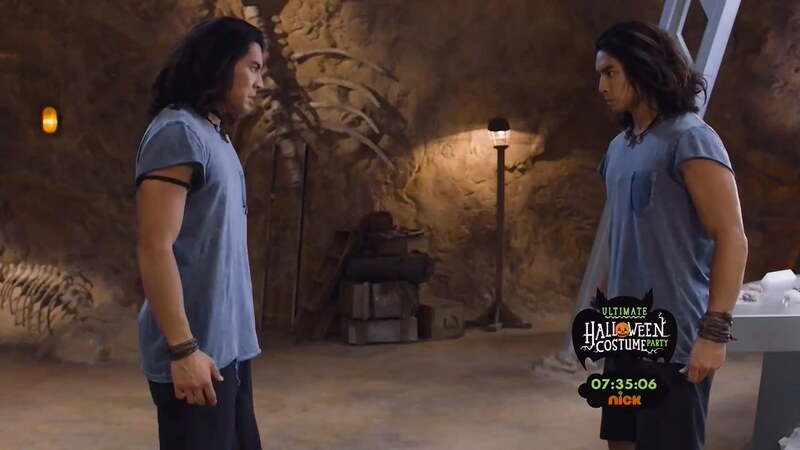 While I was disappointed that everyone wore same costumes (which was point of this episode) and Koda wasn’t Insurance Caveman (really big missed opportunity Chip), I really enjoyed this episode. I’m really looking forward for Christmas and 2 more next year.